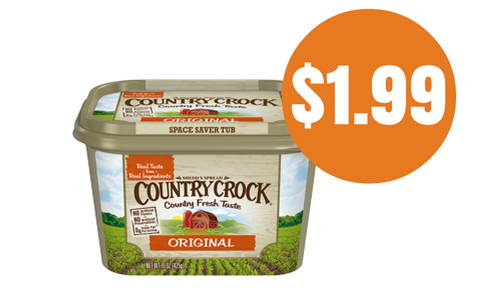 There is a new Country Crock spread coupon available! If you like using Country Crock, head to Food Lion and get it for $1.99 this week. Don’t forget you can print your coupon twice, and if you don’t have a Food Lion in your area, save your coupon for a sale at your store.